From Monday 12 - Friday 16 January, The Line Of Best Fit takes over The Lexington - a stone's throw from London's Kings Cross - to showcase the very best in new music. 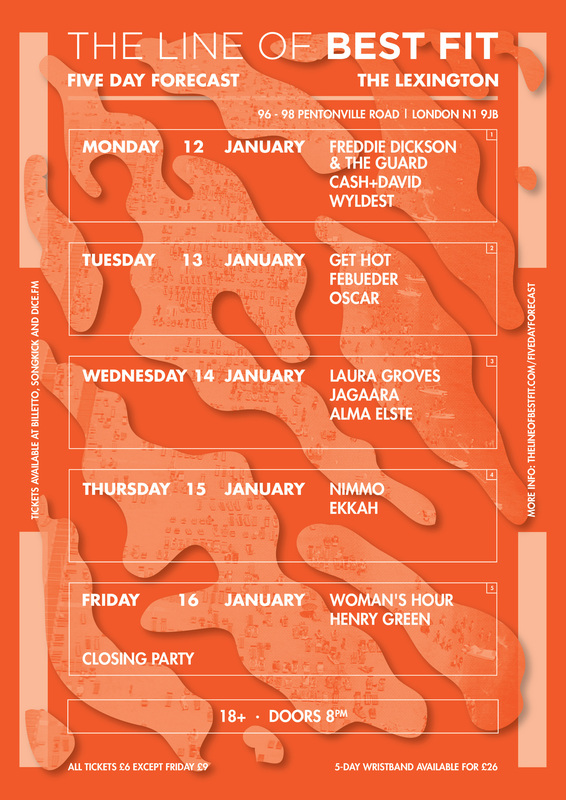 Our week long residency will help music fans start the new year off with a bang as we bring some of the artists we're most excited about for 2015 to The Lexington for five amazing shows. Monday to Thursday's line-up is all about the newcomers and features the stellar talent of Freddie Dickson & The Guard, Get Hot, Nimmo, Ekkah, Febueder and Laura Groves whilst the closing night will see one of 2014's biggest successes - the Secretly Canadian-signed Woman's Hour - playing a special headline show to round the week of events off in glorious style. All shows are priced at £6 (except for Woman's Hour; £9) with a special week-long wristband available for £26, covering all of shows in the programme. DOORS OPEN 8PM EVERY NIGHT.